Well, this is awkward. 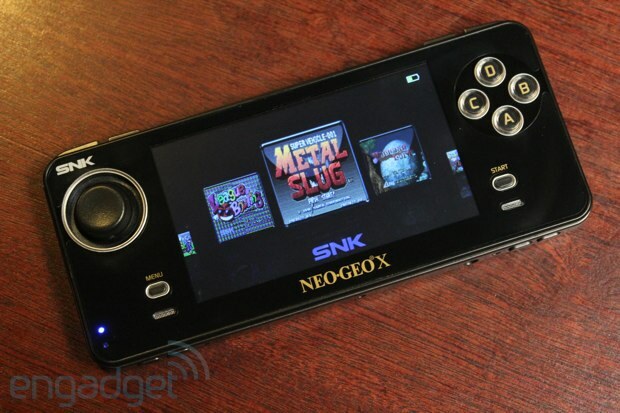 Two days ago, SNK Playmore announced the death of the Neo Geo X Gold -- today, the handheld's manufacturer has demanded a retraction. According to Tommo, it has a standing contract with SNK to produce and support the handheld console through 2016 and "fully expects this agreement to be honored by all parties." Moreover, the company claims that it has performed all of its obligations as a licensee, asserting that SNK has no reason or grounds to terminate the agreement. For now, the company says it will continue to sell the Neo Geo X Gold system as well as its arcade stick and assorted game collections. It's a messy situation, to be sure, but at least it's delaying the device's inevitable fate as a collector's item. Check out the statement for yourself after the break. Los Angeles, Calif. – October 7, 2013 – Tommo, Inc., today responded to the press release that appeared on the SNK PLAYMORE USA Corp website last week. Tommo, Inc. denies that any breach of contract exists in their agreement with SNK PLAYMORE USA Corp and are continuing to support and market the popular NEOGEO X GOLD entertainment system, its accessories, and games. Due to the popularity of the system, Tommo and SNK extended the agreement earlier this year until 2016. Tommo fully expects this agreement to be honored by all parties. To date, Tommo has performed all of its obligations under its license agreement with SNK and is disappointed by SNK's sudden and unjustified termination of the agreement. Tommo has demanded that SNK retract its press release and any attempts to terminate the license agreement. "Tommo is still taking care of all customer service and product warranties in North America as are our master distribution partners, Success in Asia and Blaze in Europe," said Jonathan Wan, CEO of Tommo, Inc.. "We're continuing to sell NEOGEO X products, including the NEOGEO X GOLD System, Arcade Stick, MEGA PACK Volume 1 and Classics Volumes 1-5. The license agreement which allows Tommo to sell and market these products remains in effect." Tommo Inc. would like to thank the thousands of NEOGEO X fans who have shown amazing support for NEOGEO X in the last week and want them to know we will continue to support them, their NEOGEO X GOLD systems and products. 0 Response to "Tommo to continue to sell Neo Geo X Gold through 2016, denies breach of contract"